Our hearts broke when packed trains left south India, carrying our terrified north-eastern brothers and sisters. But this is also a moment when we can come together as friends and ordinary citizens to send a resounding message of peace and acceptance for all. The exodus began when fake threats of reprisal attacks for the violence in Assam began spreading panic amongst the north-eastern community. Regardless of where those SMS and social media messages originated from, the vast number who fled reflects the marginalisation and fear that many feel in Indian society. Let’s turn this around by using our Facebook and Twitter accounts as a force for good and spread messages of unity, not division. 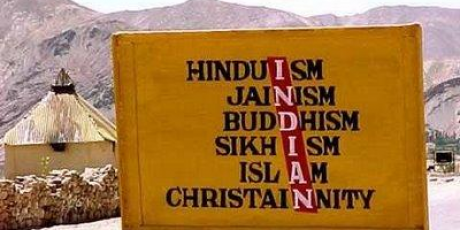 There is a long history of communal violence in India, be it the massacres of Sikhs in 1984, the flight of Kashmiri Pandits in 1990, or the slaughter of Muslims in 2002. The last three weeks’ terrible violence against Muslims in Assam which displaced nearly 300,000 people, and now the fear amongst north-eastern people are only the latest. Their concern was already heightened following a meeting in Mumbai which descended into a riot and attacks against the police. The threatening SMS just became the final trigger for this exodus. We as ordinary citizens have to stand up to end this vicious cycle. When a mob of men molested a girl in Guwahati in Assam, Avaaz members added to media pressure and most of the men were arrested. It’s time for us to come together again and send a message of peace to people from every community.